The Vutec Lectric 1 72 x 128" Motorized Front Projection Screen is a well-built and reliable screen that has many applications such as boardrooms, seminar rooms, libraries and lecture halls. Installs easily and contains a very silent motor for up/down operation. Vutec Corporation is one of the world's leading video projection screen manufacturers. The company began blazing trails in the 1970s with the development of bright curved screens and maintained its vanguard position with a host of patented and patent-pending products including PrismaTec, a rear projection screen system, and a variety of motorized screens, including ceiling mounted, recessed and rising arm formats. 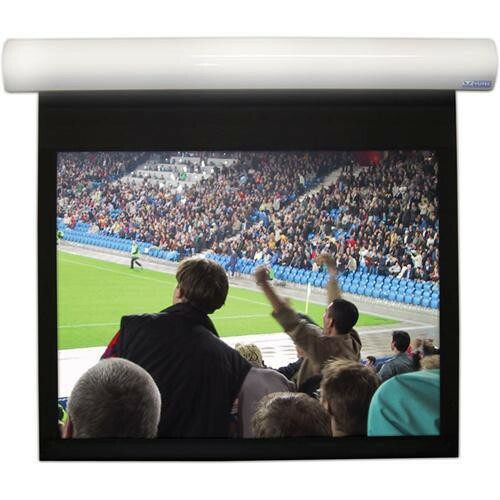 Vutec also carries a wide array of masking screens and audio-visual products. Box Dimensions (LxWxH) 146.0 x 7.0 x 7.0"